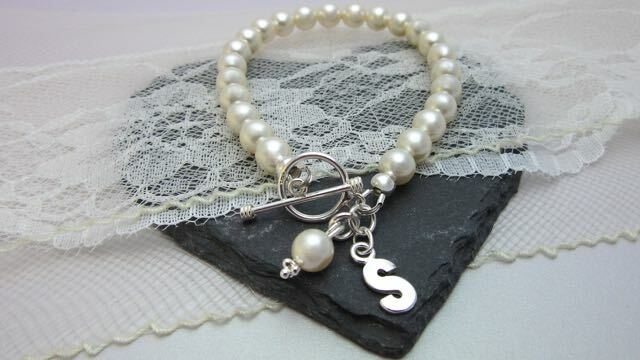 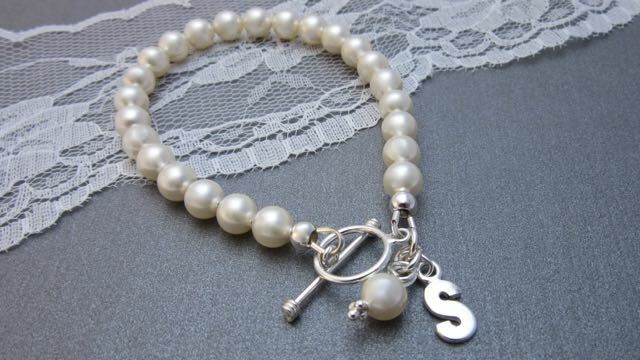 PEARL INITIAL - HEY JULES! 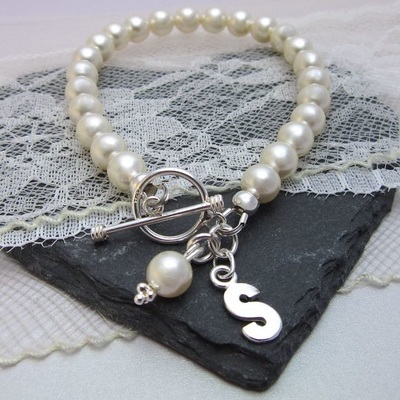 DIMENSIONS - This bracelets has 6mm Swaorski pearls and is 18cm/7 '' long, please contact me for a larger or smaller size or include your 'actual' wrist measurement at checkout, and it will be made to fit you perfectly! The silver initial measures approx 12mm x 6mm, but will vary slightly depending on the initial. All components sterling silver and Swarovski pearls.